Get Connected to the World! 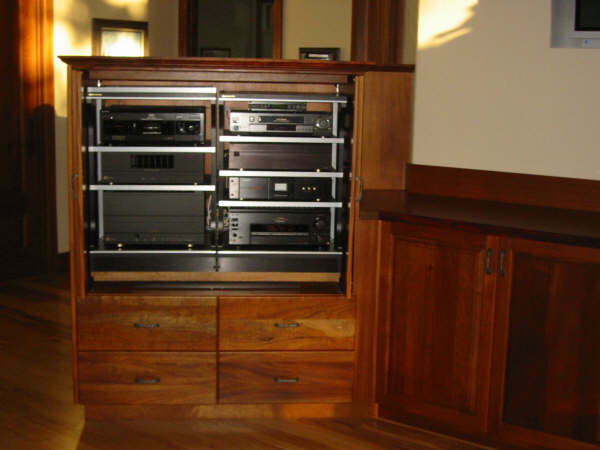 | Your source for Expert Installation of A/V equipment in Western Montana & Beyond! 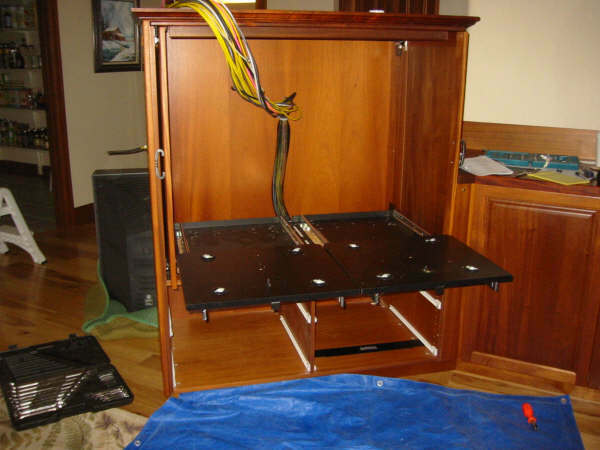 Here is a free standing cabinet that we customized to hold all of the customers AV equipment. Same classic old look, but inside its totally state-of-the-art. Here are a few photos from a commercial phone and data job I had in Flathead Valley. For this job, I included a full set of schematics showing all rooms and all jack numbers. This way, any phone system tech or networking tech can come in & navigate the entire building at a glance. Planning ahead always pays off. Here are a few photos of a job we completed last summer. We’ll be updating soon with more information & more photos! We have a lot of cool projects that we’re excited to share. 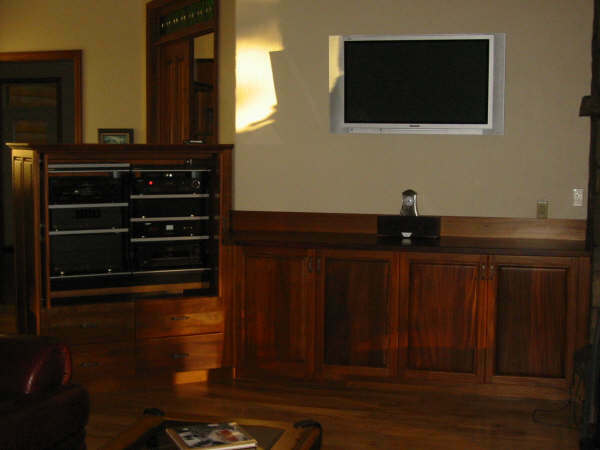 Hidden wires, electrical outlets in the cabinets & wireless technology allow you to keep the less attractive side of Home Entertainment Systems outta sight! Just a test to try out our new website! Stop by again soon for photos of our latest projects & more information on how we can change your life with the latest technology!